Categories: Backup & Recovery, Mac OS. Tag: DoYourData. DoYourData Recovery for Mac Professional, reliable and safe Mac data recovery software, can help you easily and quickly recover lost files from Mac notebook, desktop, Mac-based drive, digital device, removable device due to deleting, formatting, virus attacking, OS crash, improper operation or other unknown reasons. This Mac file recovery software can scan your device sector by sector to find everything you’ve lost. It can not only recover deleted, formatted, inaccessible data, but also retrieve lost data from deleted or lost volumes/partitions. Just within 3 simple steps, you can get all lost files back. Deleted File Recovery:Easily and quickly recover deleted files even you have emptied the trash bin. 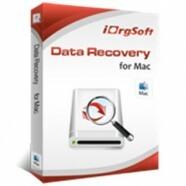 Formatted Recovery: Completely recover files from formatted, reformatted or erased Mac hard drive or storage device. 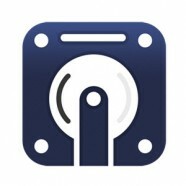 Lost Volume Recovery: Retrieve lost files from damaged, deleted or lost Mac volumes/partitions. Raw Recovery: Raw recovery lets restore lost files from corrupted or inaccessible hard drive/device. 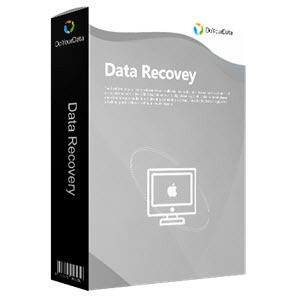 OS X Recovery: Recover lost data after OS X upgrade, crash, or reinstallation etc. 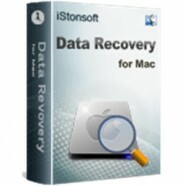 Other: Recover Mac data due to virus infection, power failure, hard drive error, or other known reasons. Do Your Data Recovery for Mac Professional provides two recovery modes – Quick Recovery and Advanced Recovery to ensure finding all lost files you’ve lost. 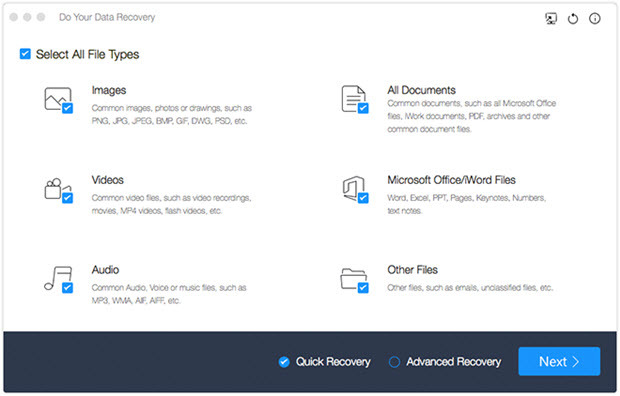 While Quick Recovery can quickly find the deleted or recently lost files, the Advanced Recovery will scan your device deeper and find much more missing files. Do Your Data Recovery for Mac Professional supports to recover all types of lost files including photos, videos, audio or voice files, documents, folders, emails, archives, etc. Works on all hard drives (both internal and external hard drive). All Mac machines are supported including iMac, MacBook, MacBook Pro, MacBook Air. It supports to recover lost data from any kind of storage media, such as USB drive, portable hard drive, digital camera, SD/Memory card, etc. Compatible with all popular OS X including Mac OS X 10.6, 10.7, 10.8, 10.9, 10.10, 10.11 and OS X server. Clean & Wizard-based interface makes data recovery become easy. It takes only three simple steps to recover lost Mac data. Save and resume the recovery as you want. Easily search and filter the files, quickly locate the files you are looking for. Preview the files before you save them. 100% safe, read-only recovery process.